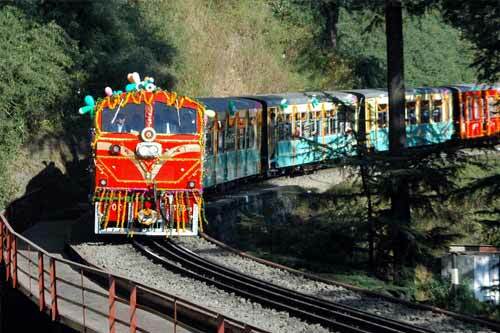 Matheran Toy Train Online Booking, Neral to Matheran Toy Train Booking . The century old settlement of Matheran is declared as an eco-sensitive region, where every mode of transportation, even cycles are banned. 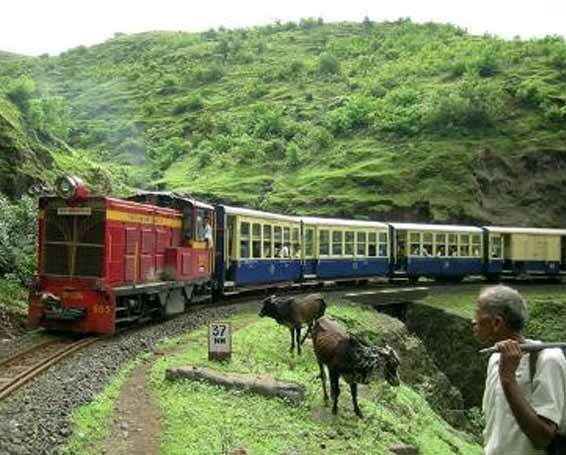 In this case, the Matheran Hill Train is the only way to reach out to this shady green capital of the region. 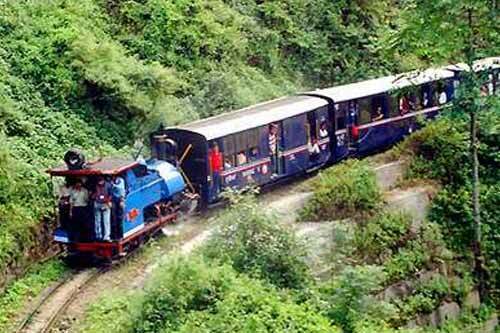 In fact, this ban is a blessing in disguise, serving tourists with the untouched bliss of the forested hill station. Travellers get to breathe the fresh air, enjoy long treks and soak the wonderful views of nature. 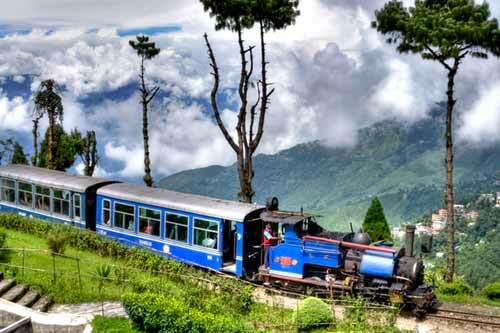 Located at a small distance of 108 km, this hill station is bestowed with enamouring views and picturesque points. 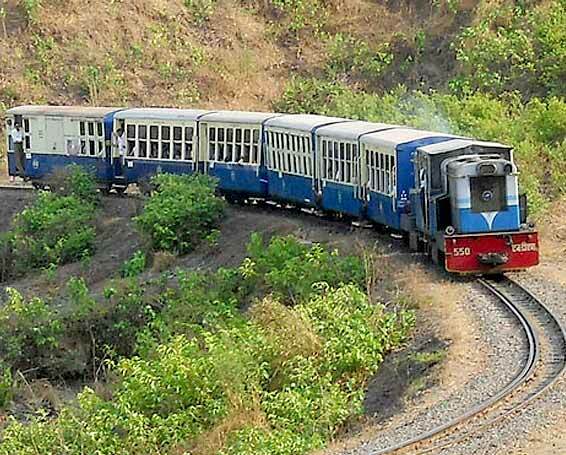 Matheran Hill Train TourThe term Matheran implies 'Jungle Head', or 'Forest perched on the top of the hill.' The nature lovers who want to experience nature in its pristine form throng to this retreat in large numbers. 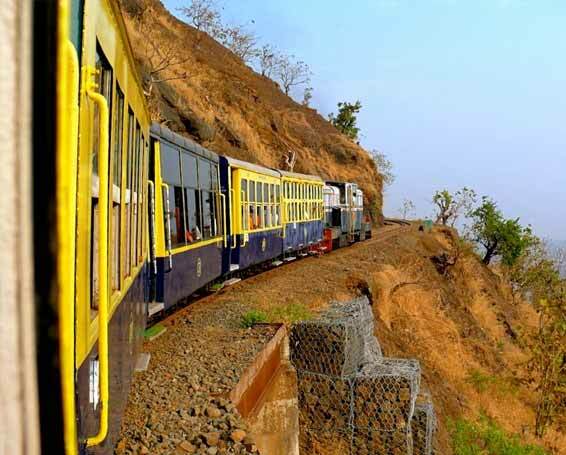 Due to the excessive demand of Matheran Tour, its only getaway, the hill train needs to be booked well in advance to avoid the disappointments later. Laid out in the year 1901, Neral Matheran Light railway got completed by 1907, thanks to the engineered vision of Matheran Railwala, Mr. Aboul Hussein Adamjee Peerbhoy. After the project got approved and funded by his father, Sir Adamjee Peerbhoy, the mastermind of Matheran railways stationed himself at Neral, which later became the starting point of this historical train. This breathtaking journey takes twelve and a half hours from Neral to reach the brilliant hill station of Matheran. 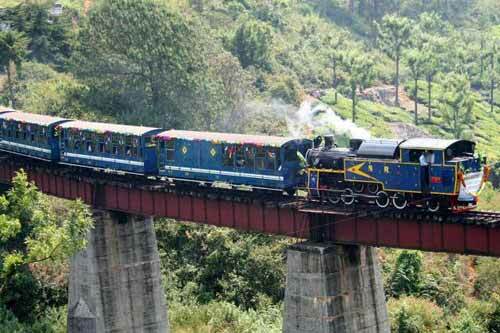 The train starts rising up to the elevation after Hardar Hills and reaches Jamnapatti station, where it appears to create a magical view of bringing together road and rail track. Further the track meets the road again at Bhekra Kund. The horseshoe embankment near the Mount Barry is again a captivating sight for photographers. The route runs another mile before it enters into the one kiss tunnel, the only tunnel on the track. Emerging from the tunnel, the line zigzags sharply to cross the Panorama Point and the Simpson Tank, from where train reaches straight to the Matheran Bazaar. Matheran Hill Train TourAs the toy train wheezes up into the clear mountain air at the stations approaching Matheran, the unusual journey of magic, awe and surprise touch the travellers from within. The views of mesmerizing Matheran comprise 28 points, 2 lakes, 2 parks and a racecourse, all explored on feet or horseback. Famous points offering the panoramic beauty of nature are Alexander pt., Rambag pt., Panorama pt. (sunrise point), Porcupine pt. (sunset point), Echo pt., Celia pt. (water fall mouth) are the must visit attractions of Matheran.